I am enamored with all things tarot and all things vintage horror. I routinely scour the Internet for the latest or unusual decks to add to my growing collection of tarot cards or unique pieces of art featuring my favorite scream queen, the Bride of Frankenstein. 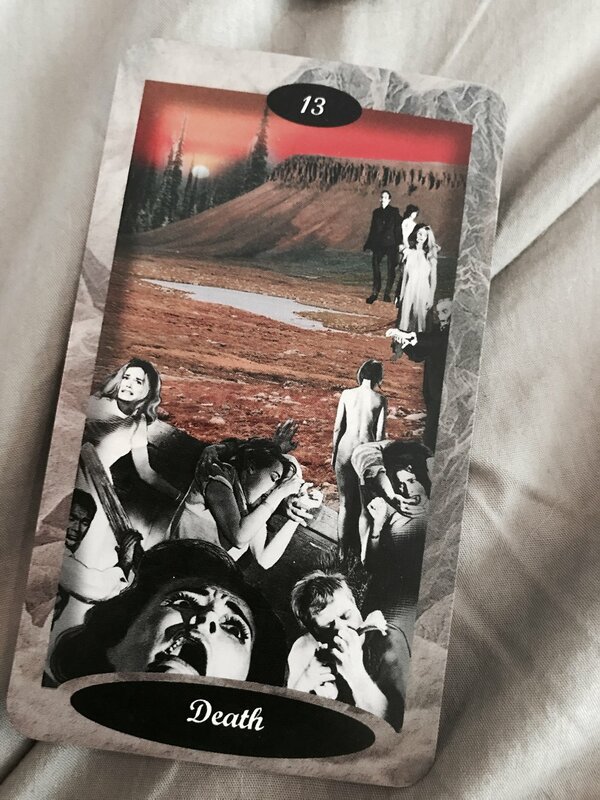 So several months ago when a friend sent me a link to a The Vintage Horror Tarot, I wasted no time in immediately purchasing the deck. One glance at the artwork featuring all the classic Universal monsters along side scenes from Alfred Hitchcock's Psycho, George Romero’s Night of the Living Dead, Tod Browning’s Freaks, F.W. Murnu’s Nosferatu and I was smitten. The deck was created by Jessica DeFelice, also know as Aesthal, a self-described "narcoleptic New England model and artist." (I highly recommend following Aesthal on Instagram to see her stunning cosplay skills.) 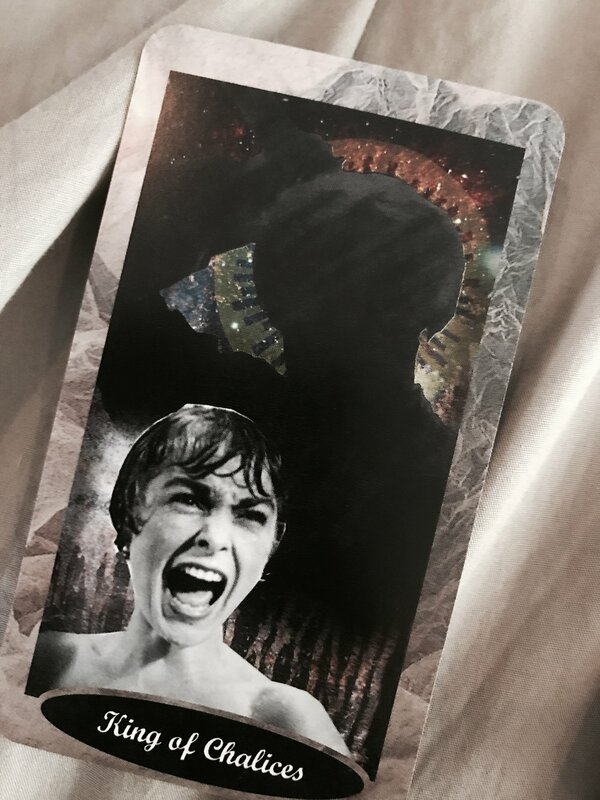 Not only did Aesthal create The Vintage Horror Tarot but she is also the creator of a cosmically beautiful David Bowie deck, both available at Runic Treasure. The Major Arcana features poster art from the Golden Era of horror films, using mostly the monsters from the Universal horror series, and the Minor Arcana features screen grabs and promotional images taken from the same films. Just a few of the other more obscure films used in the deck include: The Mole People, The Infernal Cauldron, Häxan: Witchcraft Through the Ages, and The Golem: How He Came into the World. Despite the deck’s hypnotic visual art, I would say it would definitely be for the more experienced tarot readers when put to practice. While you can always give a reading intuitively with the artwork at hand, I would say a confident knowledge of all the suits and numerology would be extremely helpful in the use of this particular deck. These cards do not offer any visual representation of coins, swords, wands, or cups and so you only have the name of the card alone to go by. That said, this deck is a MUST for your collection if you are a fan of vintage horror. I cannot stop fawning over these cards and I am looking forward to the magic that they will bring.